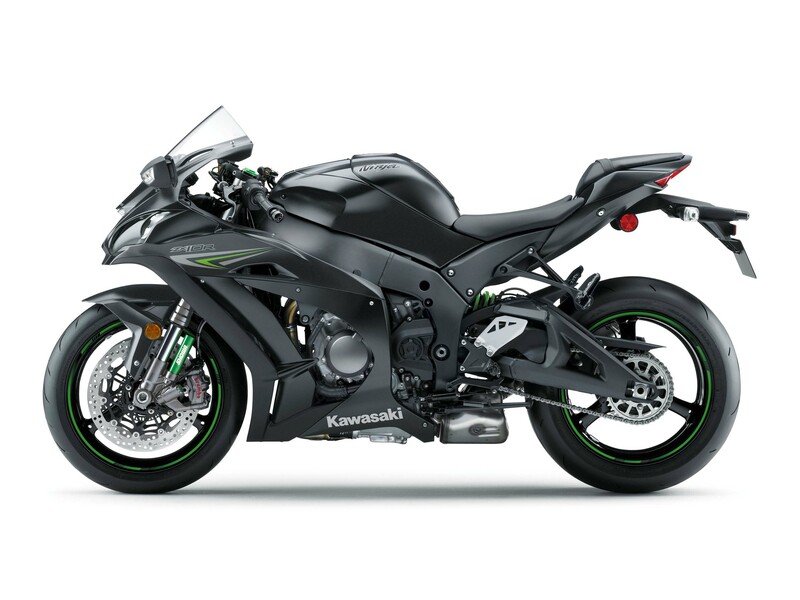 It may be evolution, instead of revolution, for the Kawasaki Ninja ZX-10R in the 2016 model year, but Team Green has made sure to make sure that this model refresh is more than just “bold new graphics” and minor tweaks. The updated 10R is a serious beast, with a fresh WSBK scalp on its belt. Trying to draw a parallel between Jonathan Rea’s World Superbike Championship victory, and Kawasaki’s latest superbike offering, the new Ninja ZX-10R is replete with features that come from Kawasaki’s production-racing efforts. This is no ordinary model refresh. The changes to the 2016 Kawasaki Ninja ZX-10R include a revised and more powerful motor – 207hp with ram air and 83 lbs•ft of torque on the European-spec model, though we expect those figures in the USA to be less. Curb weight is set at a competitive 454 lbs. Other goodies include lightweight titanium exhaust, a revised chassis, more aerodynamic fairings, upgraded Showa Balance Free suspension, Brembo M50 monobloc calipers, a five-axis Bosch IMU, and a revised electronics package. Engine changes come from a lighter crankshaft (with a new balancer), which revs higher than before and adds more low and midrange power. There is a new piston design as well, along with changes to the cylinder head (polished intake and exhaust ports, as well as larger titanium valves). The airbox has also been increased in volume by 25%, with a 60% larger surface area for the air filter – all of this giving more power and a better throttle response. The chassis has been tweaked as well, with the steering head position revised, along with the swingarm’s rigidity and length. 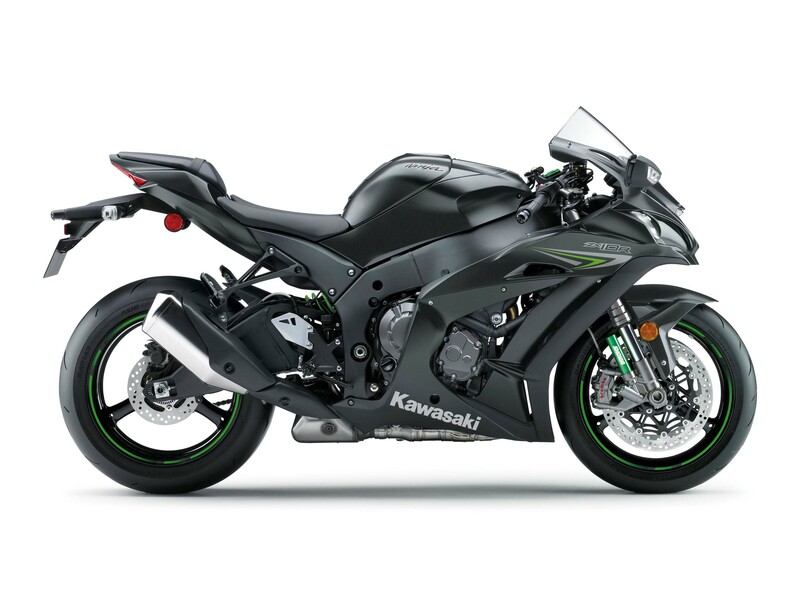 The longer wheelbase it creates gives the Ninja ZX-10R better handling, says Kawasaki. Other, more noticeable, changes include the higher-spec brakes and suspension – the gas cartridge forks from Showa bringing the extra bling factor for racer wannabes. 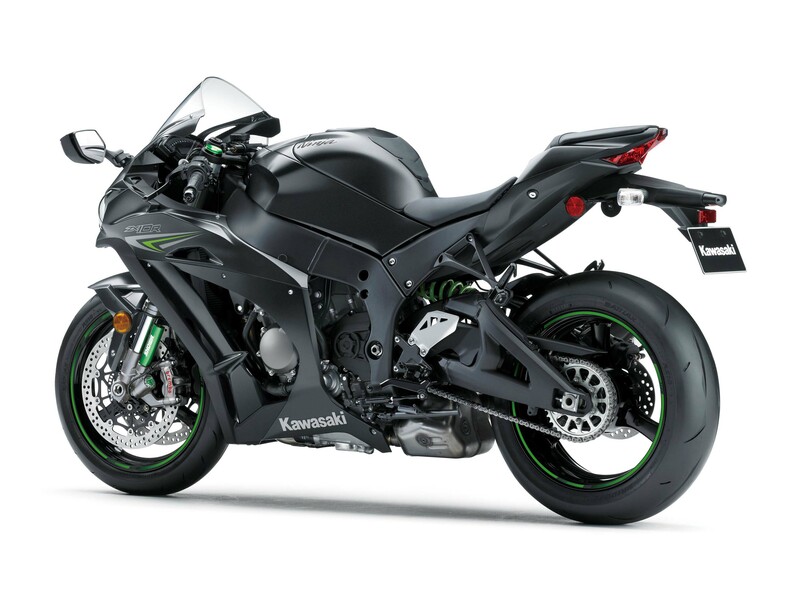 What we are perhaps most excited about, though, is Kawasaki’s addition of an inertial measurement unit (IMU), which brings the Green Rocket inline with the highest performing superbikes, and continues the ZX-10R’s high-tech prowess. With the IMU comes a revised its electronics package from Kawasaki, which includes the Kawasaki Engine Braking Control (KEBC), Kawasaki Launch Control Mode (KLCM), Kawasaki Intelligent anti-lock Braking System (KIBS), Corner Management Function, Sport Kawasaki TRaction Control (S-KTRC), and Kawasaki Quick Shifter (KQS). With a price tag of $15,999 MSRP, the ABS model is priced competitively against the new Yamaha YZF-R1 and R1S, thus leaving would-be liter bike buyers with a serious decision to make between the ZX-10R and R1.